But, do you know our story? Infertility is a medical diagnosis. One that can vary from mild to severe. Sometimes there is no ‘cure’. Even after getting pregnant and having a baby, one is not magically cured. Every couple and how they go about various treatments is different. No two couples are the same. 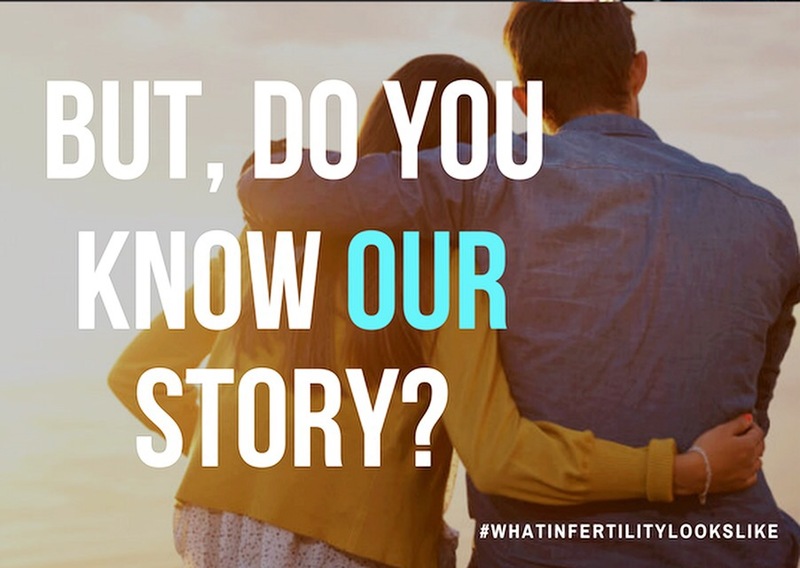 When people suggest they try “this or that” or when other ttcsisters say they have been “cured” of their Infertility just by diet and exercise alone without knowing the couples story, can be a huge slap in the face. This is dangerous and it can give couples a sense of false hope or leaves them feeling like they are not doing something right. It can also make them feel like they have failed or are not trying hard enough. The bottom line is, what may work for some, may not work for others. For some couples, maybe all they needed was diet and lifestyle changes and they got pregnant, and that is truly wonderful. Unfortunately, that is not the case for most couples. So, before we make suggestions about their lifestyle without knowing THEIR story, please take into consideration how these words might impact and hurt. Let’s offer instead words of loving encouragement, and understanding. Chances are they have Dr’s and a whole team, and are already seeking the advice from these medical professionals and implementing a wellness plan and treatment that is specific for their personal needs. Next Next post: How to start existing in the present, even within Infertility.